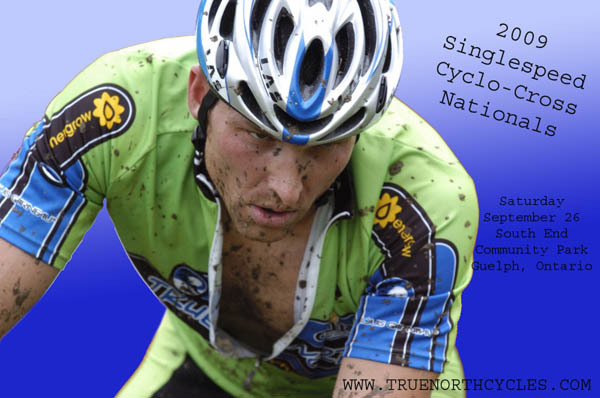 True North Cycles presents the True North Cyclocross and Single-Speed Cyclocross Nationals. The day begins with a full compliment of races that are part of the Southern Ontario Cyclocross Series, followed by the Single Speed Nationals in the late afternoon. After what will most certainly be another competitive stop on the cross calender, take part or even just spectate in the National Cyclocross Single-Speed race where the emphasis will be fun! On-line registration and more information at www.truenorthcycles.com.